An APT champion will be crowned today at the All In Poker Club at the Waterfront Casino and Hotel Lahug in Cebu, Philippines with the conclusion of the APT Asian Poker Series Cebu 2015 Main Event, which is down to the last eight. From the 160 total runners in this main event, only eight will have a shot at the prestigious APT title and the PHP 1.824M top prize for the champion. Meet the Cebu finalists, their (chip) stories on how they got to the final table and their (felt) history, specifically in the Asian and APT poker scene. 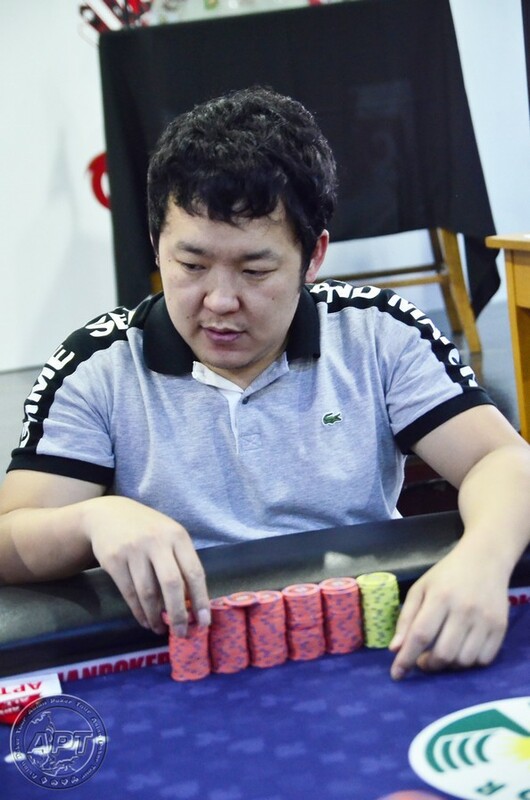 The Korean was one of the most active players in Day 1B and it paid off as he got to the top 5 after the end of that day and overall inside the top 10 entering Day 2. He remained active and did enough again to reach the money round but enters the final table with one of the shortest stacks. 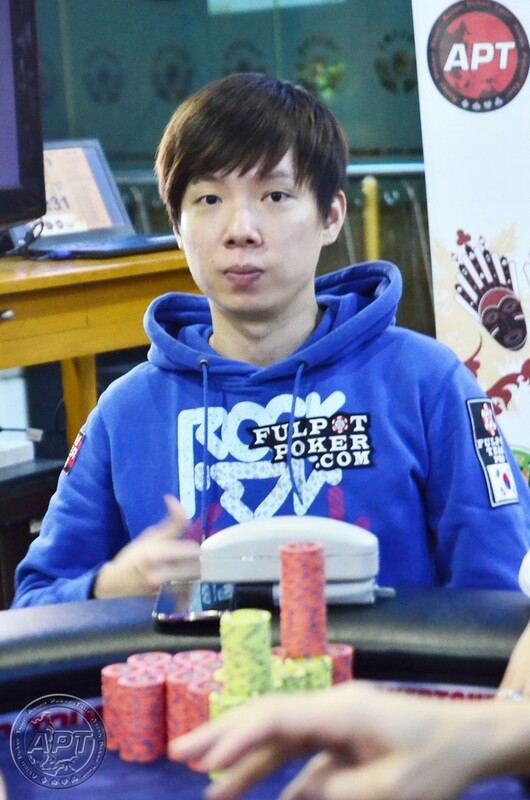 This is Dongkyu’s deepest main event run and he has four ITMs in APT side events the last two years. After Day 1, the Korean had an average-sized stack before climbing the rankings after Day 2 with 205,000—fourth overall entering Day 3. 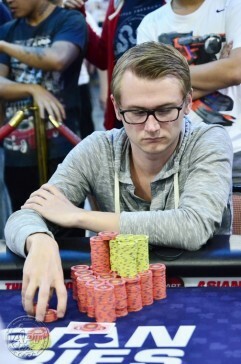 With play nearing the money, Kim did not settle and got into the big pots to overtake Henrik Tollefsen for the chip lead in the last two levels. 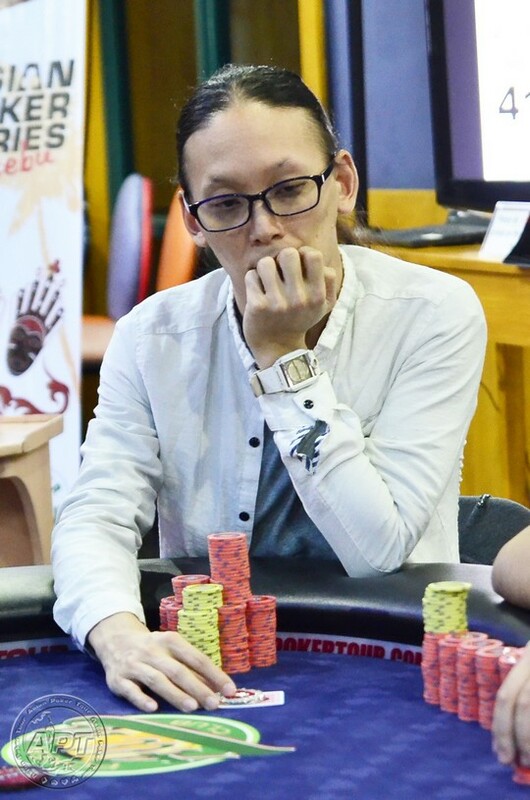 After a total of 10 cashes in APT events in 2014, Kim has only one ITM finish in 2015; as the chip leader in Cebu final table, he’s in position to not only add an ITM finish this year but possibly get the biggest haul in his playing career in the APT. 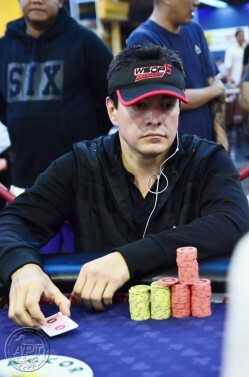 Kim’s APT Main Event runs include: APT Philippines 2014 (14th place – $7,800) and APT Philippines 2012 (7th place – $1,460). The American had great Day 1A finishing inside the top 5 but struggled near the money round. At the end of Day 2 he was ranked 18th of the remaining 25 players and one of the players that had some work to do to reach the ITM in this main event. Graham worked hard enough and now enters the final table in the middle of the pack. Graham is looking for his first big-money win in the APT. One of the most consistent players in the main event field, he started stacking up them big late in Day 2 and Day 3. In most part of the last two days, he was the overall chip leader and will enter the final table as one of the big stacks—and most feared. 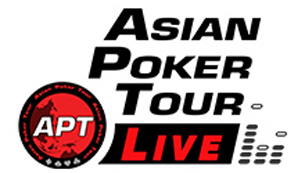 Tollefsen is aiming for his second APT main event title after winning the crown at the APT Macau back in 2013. The Swedish pro played an excellent Day 1A and worked from a big stack the rest of the way. 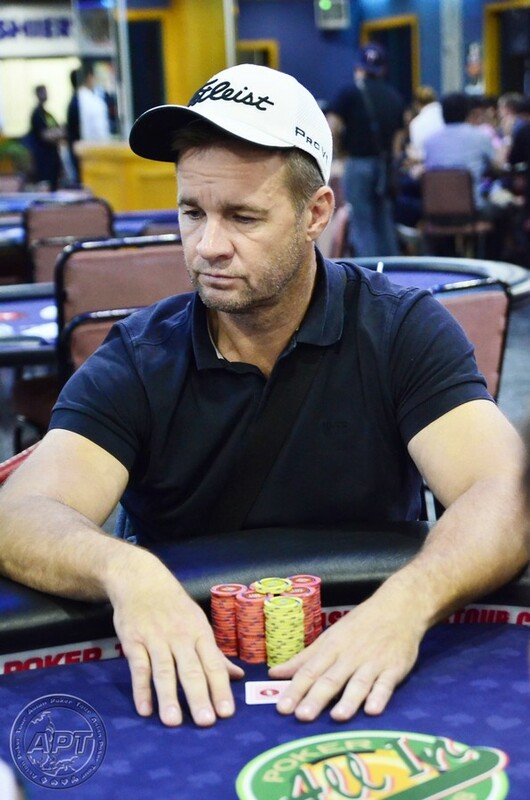 He faltered a bit in Day 2 but played well enough to land fourth in chips entering play on Tuesday. Spets is one of the more consistent players in the Asian poker scene with multiple deep runs in many Asian tournaments. 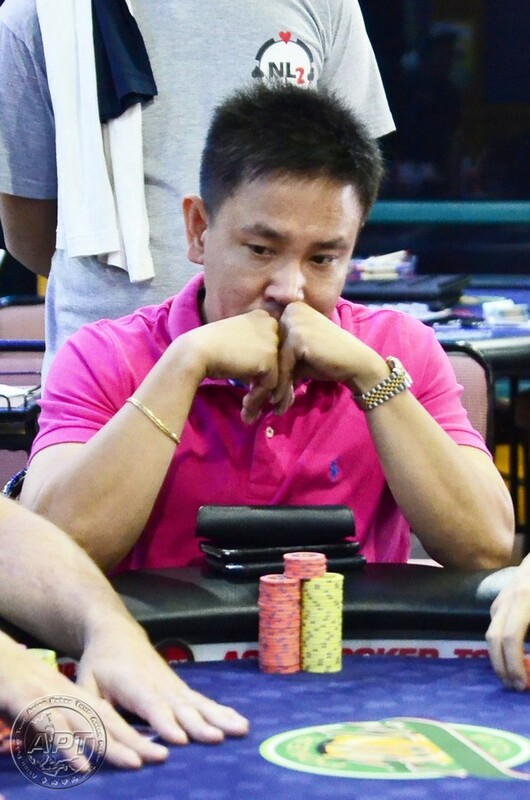 In the APT, he placed 12th in the APT Asian Series Manila in 2014. Thanks to utmost patience and timely double-ups near the bubble, Marzan has so far the most inspiring run to the final table. He started Day 1B very well as one of the bigger stacks but fell off the cliff in Day 2; he dropped to less than 10 the big blinds when Day 3 started. Not only he survived the bubble, the Filipino did not settle for a minimum payout as well and now ranks 6th of last eight in the final table. One of the best Japanese players in Asia, Yogo has been consistently at the top of the chip rankings the past three days; in 8th place after Day 1s; in 3rd place after Day 2; and 3rd place after Day 3. Along with Tollefsen, Yogo is one of the more decorated players in the final table with over 45 cashes in Asian tournaments including 13 ITMs in APT events. The Japanese’s best cash was in the APT Asian Series Cambodia 2014 where he finished in 12th place in the main event. Along with Marzan, Brion is one of the two Filipinos in the final table and one of the players who has a chance to “protect their homefelt”—much like what John Tech did in the APT’s previous stop in Cebu. 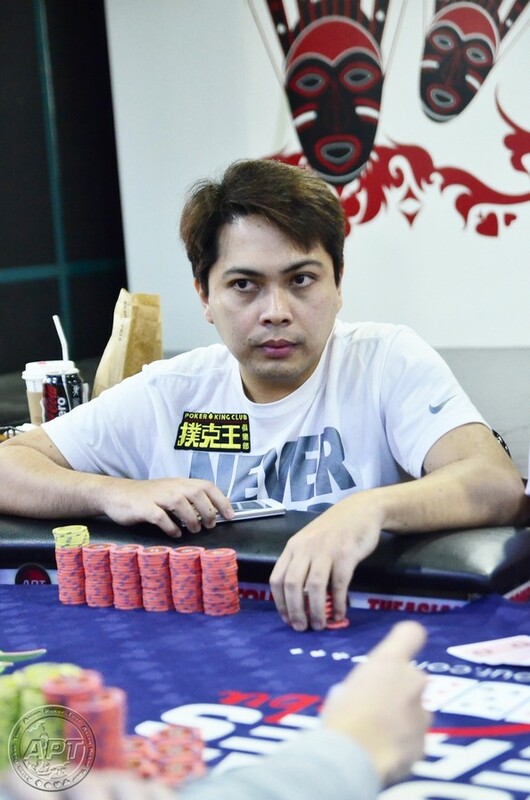 Brion, who is one of the rising pros in the Philippines, is appearing in his second final table in an APT main event this year after his third place finish in the APT Philippines 2015 last April. The last eight will begin battling for the APT crown at 1:30PM. While eight players will aim for the main event crown, others can still chase cash on the remaining side events on Tuesday; the NLHE (PHP 19,800 buy-in) event at 1:00 PM; the High Rollers (PHP 108,000) at 2:00 PM; and the Deep Stack Turbo (PHP 5,500) at 4:00 PM. On Wednesday, the 6-Handed Turbo (PHP 11,000) and Deep Stack Turbo (PHP 5,500) are set at 1:00 PM and 4:00 PM, respectively.